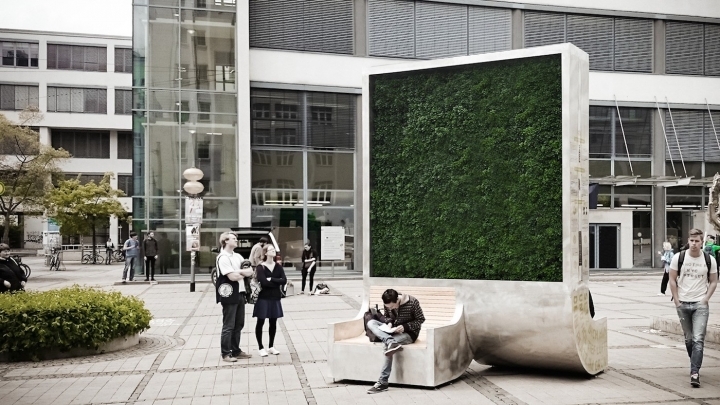 Though by no means intended to supplant urban parks or regulation and reduction efforts for air-pollution problems, these moss walls installations from Berlin-based Green City Solutions are said to have the purifying capabilities of a small forest and bring attention to our worsening air-quality. The cleansing membrane framed within a seating area—with WiFi, reminds me of salterns that we’ve encountered and reportedly has the same cooling effect. 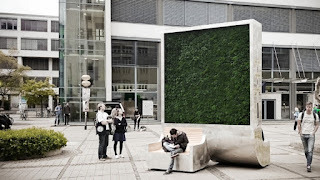 CityTrees as they’re called have been installed in urban-centres worldwide but there is an especially high concentration in Germany, like the one pictured in Jena—which we’ll have to seek out next time we’re in the area.